The use of monitoring apps and software is on rise as the global marketplace has been changed quite dramatically and employers now have to go to extra mile in order to protect their businesses and companies. On the other hand, now everyone owns a smartphone or tablet, even kids; so it makes it harder for parents to keep an eye on their kids all the time and monitor their activities, friends and whereabouts without invading their privacy. Let’s compare mSpy and PhoneSheriff; these are two of the most popular monitoring apps available today. Although both of these apps and services have almost similar installation method and initialization process but mSpy has a clear advantage here as they offer 24/7 live support; so even though the installation process is simple enough and doesn’t need prior knowledge or experience in this field, if you get stuck in the process, simply get help and support. Both of these apps require physical access to the target device in order to install apps while after the installation process, you don’t need physical access to the target device. PhoneSheriff has a slight advantage over mSpy as it is available for BlackBerry devices too. On the other hand, mSpy has a bigger advantage over PhoneSheriff as it is not only designed and developed for phones and tablets but it is also available for desktop PCs and laptops. 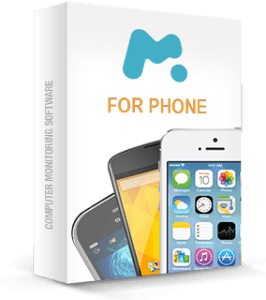 PhoneSheriff is compatible with Android, iOS and BlackBerry devices while mSpy is compatible with iOS (jailbroken and non-jailbroken both), Android, Windows based computers as well as Mac OS. PhoneSheriff and mSpy, both of the apps and services are exclusively designed for concerned parents and employers who want to protect their kids and businesses. Both of the apps and services share almost the same features; they have call monitoring, message monitoring, email monitoring, real time GPS tracking which is quite useful feature for parents and internet usage. mSpy does have some features that PhoneSheriff doesn’t; that include IM monitoring of Facebook, WhatsApp, Snapchat, Viber and many more. As mentioned above, PhoneSheriff and mSpy both have location tracking feature that allows parents and employers to track their kids and employers from the web portal company provides at the time of purchase. This feature is useful for employers and parents who want to know the routine and whereabouts of their kids and employees without invading their privacy. PhoneSheriff and mSpy allow administrators to lock down or delete specific apps from the target phone; for this purpose, they don’t even need physical access to the device because they can do that remotely via the web portal. Additionally, mSpy has an amazing feature that allows parents to restrict or allow specific websites on the target device. This is a very useful feature for parents in order to prevent their kids to visit certain websites. When it comes to pricing, mSpy is a clear winner because of its higher price and value ratio. 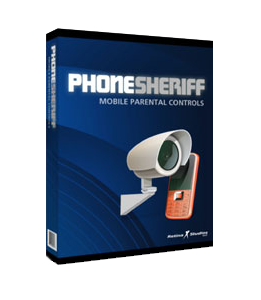 PhoneSheriff offers three different packages to its customers, two of those packages are for parents while one is exclusively designed for employers and businesses. Parents can get PhoneSheriff subscription for $50 for 6 months while per year subscription is available for $90. Business users can get it for $300 per year for five different devices. On the other hand, mSpy offers so many packages like basic, premium, family kit and bundle kit for 1 month, 3 months, 6 months and 1 year. PhoneSheriff and mSpy, both are great apps and services yet mSpy has a slight advantage over its counterpart because of its packages and some advanced features that no other app or service have in the market right now.